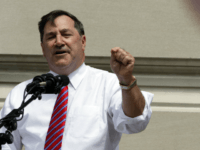 The Indiana Republican Party filed a formal ethics complaint against Sen. Joe Donnelly (D-IN) on Monday for allegedly using taxpayer-funded resources for campaign purposes. 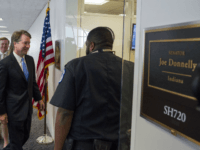 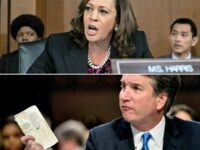 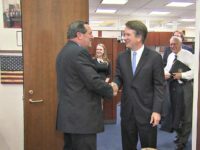 Sen. Joe Donnelly (D-IN) blocked the press from filming his meeting with Supreme Court Justice nominee Judge Brett Kavanaugh on Wednesday, instead, Donnelly secretly taped the meeting for better press coverage. 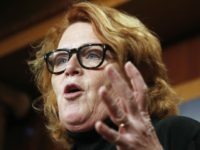 Sen. Heidi Heitkamp (D-ND) told Breitbart News in an exclusive statement on Wednesday that she has “always supported increased” border security and wall funding. 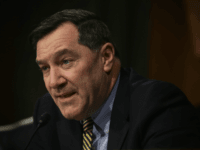 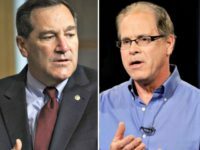 Sen. Joe Donnelly caved on Wednesday, suggesting that he will support funding President Donald Trump’s proposed border wall. 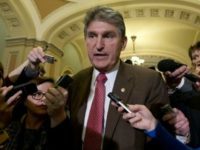 Sen. Joe Manchin (D-WV) met for two hours on Monday with President Donald Trump’s U.S. Supreme Court nominee Brett Kavanaugh. 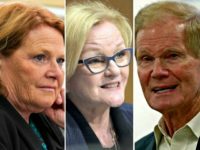 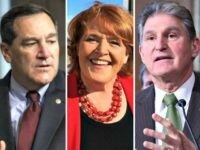 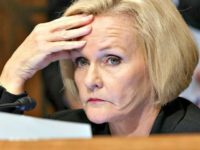 A poll released by Axios-Survey Monkey on Tuesday shows that several incumbent Democrat senators in states Donald Trump won in 2016 up for re-election in 2018 are in danger of losing in November.